The five most wonderful and important steps you could ever take. There is nothing in this world more satisfying than a personal relationship with God through His Son, Jesus Christ. “…I have come that they might have life, and that they might have it more abundantly” (John 10:10). We can think of our life as a long journey. We have been going away from God, but when we repent, we turn to God. We can think of salvation in terms of taking five steps. Let us see what these steps are. These five steps show us what it means to take Christ as our Savior. Start at the bottom and read each step. Now let us talk about each step and what it means. We will have a Bible verse for each step. Because we are sinners, we need a Savior, and God has given His Son to us to be our Savior. Read this verse again carefully. Whom does God mean when He says, “the world”? He means all the people in the world. That includes you! Whom does God mean when He says “whoever”? He means anyone. That includes you also. You can put your name in this verse. Do it right now! For God so loved _____________ that He gave His only begotten Son, that _____________ believing in Him should not perish, but have everlasting life. Read the verse now with your name in it. This verse tells you that God loves YOU and that He has given a wonderful gift to YOU. What is God’s gift to you? God’s gift to you is His Son! 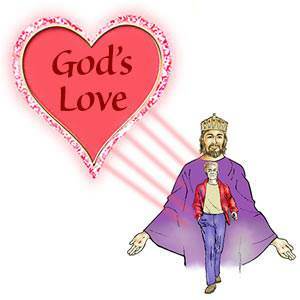 God loves you and He has given the Lord Jesus to you to be your Savior and Lord. This verse tells us that God loved us even though we were sinners. He gave His Son to die on the cross for our sins. The Bible says that God laid all of our sins on His Son on the cross. Jesus had no sins of His own, but He bore our sins. When Jesus died, He cried out, “It is finished!” He had finished the work He came to do. He had paid the penalty of our sins. Because Jesus died for our sins, God can righteously forgive us of all our sins when we take Jesus as our Savior. God does not overlook our sins, but He forgives them because He sees the blood of His Son which was shed for them. 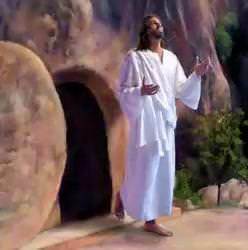 Not only did Jesus die for our sins, but He rose again to be our living Savior and Lord. He ascended back into Heaven and is now seated at the right hand of God the Father. God has given the Lord Jesus all power in Heaven and in earth. He has the power to forgive your sins and make you a child of God. This verse tells us how to become a child of God. You become a child of God by taking the Lord Jesus as your Savior. To become a child of God, there is something to believe and Someone to receive. That Someone to receive is the Lord Jesus Christ. God has given the Lord Jesus to you to be your Savior, but you must receive Him. When you take Him as your Savior, you become a child of God. "How do I take the Lord Jesus as my Savior?" 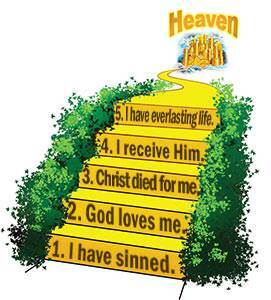 Now that we have explained the five steps, are you ready to take the Lord Jesus as your Savior? You can do this right now. Since this is just between you and the Lord, it will be best if you can find a quiet place where you can be alone for a few minutes. So, right now, before you read the next part, find a quiet place where you can be alone with the Lord Jesus. Now you are ready to talk to the Lord Jesus. Think carefully about each step and say the words softly. What did Jesus say that He would do if you asked Him to come into your heart? 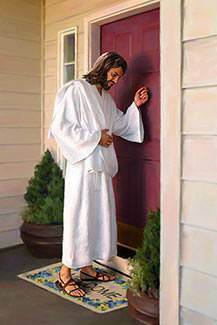 He said, “I WILL COME IN.” Does He keep His word? Yes, He certainly does. If you asked Him to come into your heart, and you really meant it, He came in. Now you belong to Him, and He belongs to you—forever! When you believe that Jesus died for your sins and you take Him as your Savior, you have everlasting life. You are saved. Your sins are forgiven. You are a child of God. It is just as simple as that. “These things have I written unto you that believe on the name of the Son of God; that you may KNOW that you have eternal life…” (1 John 5:13). Whose word is this? It is God’s Word, so we know that it is true. Being a child of God is the most wonderful thing in all the world, but let me tell you a secret. It will not always be easy while you are here on earth. You will have many troubles as you travel to your home in Heaven. But you do not have to be afraid. Why? Because the Lord Jesus is living in your heart. He has promised, “I will never leave you...” (Hebrews 13:5). We have said that one of the deepest needs of every person is the need to be loved and accepted. Most of us go to great lengths to be liked and accepted by other people. We try to be on our best behavior. We try to impress others with our good points. We try to hide our weaknesses and failures. We are afraid that if other people find out what we are really like they will reject us. God knows our need for love and acceptance and He has made a way for us to be totally loved and accepted by Him. The moment we take Christ as our Savior, God puts us IN CHRIST. The Bible says, “Of Him are you in Christ Jesus...” (1 Corinthians 1:30). Because we are IN CHRIST, we are loved and accepted by God. When God looks at us, He sees us IN CHRIST. We are fully and forever loved and accepted because we are in Him. Even after we are saved, we sometimes find it hard to believe that God really loves us. Our enemy, Satan, likes to confuse us and make us doubt God’s love. He especially likes to torment us when we fail God in some way. The truth is that God knew all about us when He saved us. He has seen us at our very worst, and yet He loved us enough to give His Son to die for us. If God loved me, sought me out, and brought me to Himself when I was rebellious and at enmity with Him, surely He will not stop loving me now that I belong to Him. There will be times when we may feel that no one loves us, not even God. But feelings are not facts. We walk by faith in God’s Word and not by our feelings. Let us therefore believe God. Feelings or no feelings, whatever God says, it is true! 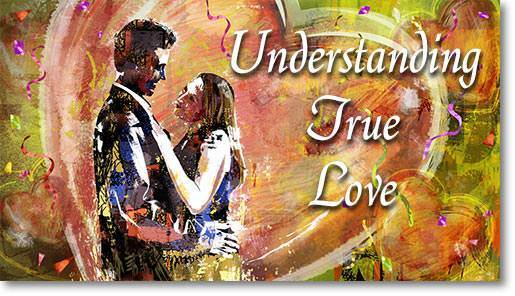 The Apostle John said, “We have known and believed the love that God has to us…” (1 John 4:16). 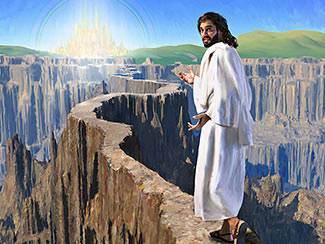 You may want to take the Lord Jesus as your Savior, but something seems to be holding you back. Let us consider some problems you may have. But it IS for you! When the Bible says, “For God so loved the world,” it is talking about you. You are in the world! And when it says, “whoever believes in Him should not perish, but have everlasting life,” that means you also. God loves you, and He gave His Son to die for you. He urges you to receive Him as your Savior. No, not at all. There is nothing in this world more exciting and more satisfying than having a personal relationship with God through His Son, Jesus Christ. “I have come that they might have life, and that they might have it more abundantly” (John 10:10). Taking Christ as your Savior is a transaction of the heart, and it can take place any time and in any circumstances. When Christ saves you, He comes to live in you. He can give you power to live for Him in any situation. “…the blood of Jesus Christ His Son cleanses us from ALL SIN” (1 John 1:7). 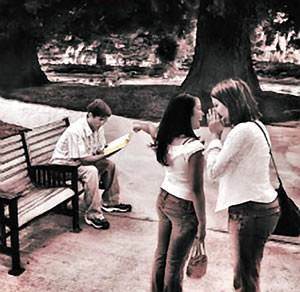 The remedy for peer pressure is to realize that your relationship to Jesus Christ is far more important than any other relationship you can ever have. Your eternal destiny depends on your relationship to Him. It is downright tragic to reject Christ because of what your friends may say or think. Your unbelief does not do away with God, sin, death, judgment or hell. One minute after you die you will be either in Heaven, rejoicing in the presence of Christ, or you will be discovering the reality and horrors of hell. Fifteen year old Diane Patmont was one of the popular drum majorettes at Skyline High School in Oakland, California. Not only was she pretty and vivacious, but Diane was an outstanding student and she had many friends. One evening two girls sensed Diane’s need for a real Christian experience and they invited her to attend church with them. There God spoke to Diane’s heart, and she realized her lost condition and her need of a Savior. After the service, she went to talk with her pastor. The pastor opened the Bible and pointed her to the One who said, “I am the Way, the Truth, and the Life; no man comes unto the Father but by Me” (John 14:6). 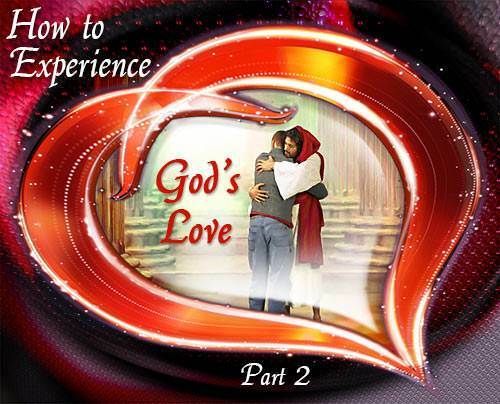 Diane knelt in prayer and asked the Lord Jesus to come into her heart and be her Savior. The Word of God gave Diane full assurance that her sins were forgiven and that she had everlasting life. “He that believes on the Son has everlasting life…” (John 3:36). Diane had assurance from God’s Word that she was saved, and her joy knew no bounds. Then came spring vacation, and her family had planned a trip to visit relatives in Iowa. Somehow, Diane had a premonition about the trip and she confided to several of her friends, “I have a feeling that I won’t come back from our trip.” No one took her seriously. “See you in a week!” they called. The next day, the weather was abominable as the family drove on curving roads through the mountains of Nevada. 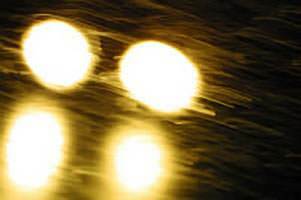 In a blinding rain, the car suddenly went out of control and skidded over an embankment. 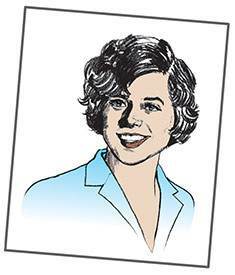 Diane and her older sister had just changed places in the car, and as the car plunged over the embankment, Diane became the target for much flying glass. As soon as possible, help arrived; but the ambulance had to drive 53 miles in a heavy downpour to get to the nearest hospital. Though in a state of shock, Diane spoke again and again of her Savior. Then she asked her father, “Daddy, am I dying?” Her father said, “You’re going to be all right, honey.” But somehow Diane sensed that death was near; and she said triumphantly, “I’m not afraid to die. I know where I am going.” Shortly before the ambulance reached the hospital, Diane had passed from this world into the presence of her Savior whom she loved so much. Diane’s greatest desire in life was that everyone might hear what Jesus Christ had done for her. Just before she died, she made one request, “Tell everyone what Jesus did for me.” Her wish has been carried out in a wonderful way. Right now, it’s about 8:35. It’s Friday night, and tomorrow morning we’re leaving for Iowa. I feel that a person never knows what’s going to happen next. What I mean is, I could possibly be killed on the trip I’m going to make with my family. I really doubt it because I feel there’s too much God wants me to accomplish. But I’m writing this just in case. I found out something very important this year. It was the answer to every problem I’ve ever had or will have. I found out that religion is not old lady stuff. I found out it isn’t religion that’s important, but that it’s knowing Jesus Christ as my personal Savior...and trusting Him. You know something, before I was a saved Christian, there was emptiness in my life, something was gone, but now—my life is complete—I’m saved through Jesus Christ. I know, to a person who doesn’t know the Lord as their Savior, this sounds completely unreal—but please, please, please, I beg you to talk to my pastor about how I feel. He will tell you because he knows I was in his study after church on October 28. That day I got down on my knees with him and accepted the Lord Jesus into my heart and was saved. Since then, the Lord has changed my heart completely. I can’t put into words how much He has done for me and will do for you if you’ll only let Him. I beg you to talk to the pastor, Lynn, Leslie, Laurie, Grandma and Grandpa. Please do it, please. Also, please read the material underneath my Bible on Pat’s hope chest. And please read the Bible—especially the New Testament. Do it for me to see what I’m talking about. And…it isn’t religion! It won’t get you anywhere, but Christ will get you to Heaven. I know I’ve many bad faults to overcome. But with His help I can do it. When I get back I promise to write a whole notebook on how the Lord has changed my life: I pray God will let me live long enough to do it. Please remember that He lives today and He answers prayer. Please, get on your knees now and accept Him into your heart if you never have done it before. You’ll never know peace until you do—Please do it—He’s waiting. Please tell everyone I know about my faith in Jesus Christ—He’s real. Diane Patmont was my closest friend. We had many good times together…sharing secrets and double-dating; joining in prayer and in reading God’s Word. Often with several other girl friends we would end our parties and other social times in prayer and Bible reading. Diane had known about what the Lord can do for a person most of her life, as she had attended church, but she had never taken the step of receiving Christ as her own Savior until she started attending church with me. When another girl friend of ours made a personal decision for Christ, Diane began to think seriously of making that decision in her own life. It was October 28, after the morning church service, that I walked with Diane to the pastor’s study. There she made her decision for Christ. After that time Diane was so interested in God’s Word. Often, in our telephone conversations, we would discuss Bible verses and prophecy. Once a week Diane talked with her pastor, seeking answers on certain portions of Scripture and matters regarding our Christian faith. We discussed where she should leave it and decided on her desk. Two days following, Diane was killed in an auto accident in Nevada. When I heard the news, I immediately told mother of the letter she had written, saying I must get it. I did. It was right where we had decided she would put it. I have lost a wonderful friend on this earth, but I do know I shall see her again, for I have the Lord Jesus Christ as my Savior, too. We shall meet again in Heaven.